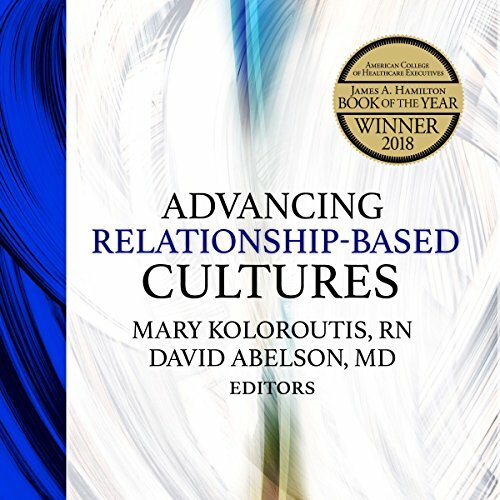 Showing results by author "Mary Koloroutis"
The premise of Advancing Relationship-Based Cultures is simple. Given that relationships permeate every atom of health care, it follows quite naturally that everything in health care will work better when relationships are healthy. This audiobook, while focusing most often on the people portion of the care equation, also addresses the processes and structures that can and must contribute to the ability of all people in health care to provide compassionate care through the four relational practices: attuning, wondering, following, and holding.